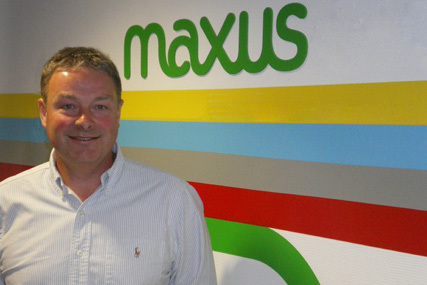 Maxus Global has appointed Alan Hodge as its first group trading director. Hodge is currently EMEA trading director at GroupM, the WPP trading group that includes MediaCom, Mindshare, MEC and Maxus. His role at Maxus will be to manage the agency’s media-planning and buying commitments, as well as participating in new business pitches. He will work across the network to deliver agency services for Maxus clients, including Mercedes Benz, Universal Pictures, BT and Fiat. Hodge will work in partnership with WPP media-buying network GroupM, for which he retains some responsibilities. He will be based in London, reporting to Maxus Global chief executive Kelly Clark and Juergen Blomenkamp, the global head of GroupM Trading. He takes up his new post in September. Clark said: "[Alan] has great experience and relationships that will help our clients get the most for their media investments. We’re looking forward to having him as a partner as we continue our company’s development." Prior to joining GroupM, Hodge was investment director for Europe in Mindshare’s Team Unilever group and, before that, held various positions at UK commercial broadcaster ITV, including group account director at Granada Media Sales. His appointment follows several changes within WPP's media agencies. At the beginning of this month, MediaCom appointed Dominic Guba as its first global head of trading. Last month also saw the promotion of Andy Zonfrillo to the position of head of pricing at GroupM, from his previous post as UK head of the Exchange group at Mindshare.